Carbon bonnet, roll cage, cut slicks, racing bucket seats, harnesses. You'd be forgiven for thinking your looking at the options list for a Porsche GT2 or RS but no those wonderful barmy Frenchmen decided not to send the current Megane range out with a bang. They preferred it go out with a full on nuclear blast! 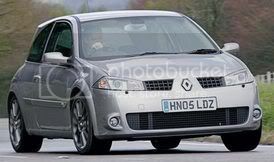 We could scarcely believe some of the pre release rumours floating around about this car but whereas previously most of the juicy bits of gossip don't make it onto the final car the R26.R delivered in a big way. 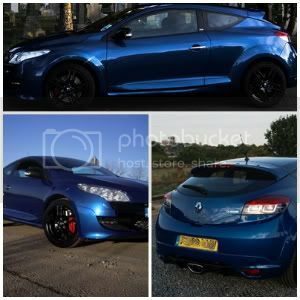 Late 2009 saw the launch of the much anticipated new Megane 250, with the arrival in the UK in 2010. So the evolution continues, no shaking that bottom with this one. 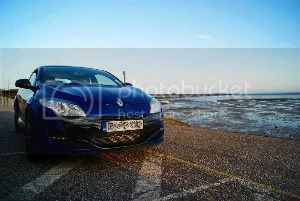 The Renaultsport megane 250 was launched in the UK Jan 2010, and what a car it has turned out to be, 250bhp (claimed) a little more in reality with build and interior quality that feels more grown up and is knocking on the doors of our German friends. 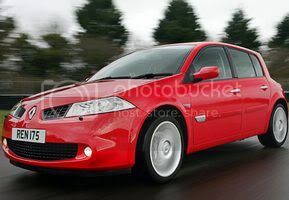 When launched a mixed reaction was felt on whether it was heading away from the more in your face design of say the F1 R26, but it seems to have bowled most of us over with its sleek looks and performance. 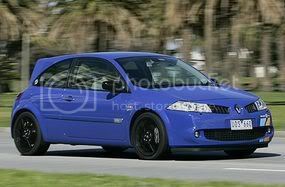 Renault also gave us two chassis options right from the off, sport or cup. The sport which would have heated leather seats, climate and a softer feel about the car but by no means soft when you planted your right foot. The cup with its firmer ride and LSD diff is a bit more track orientated but perfectly suited to the day to day blast to work or around the B roads. 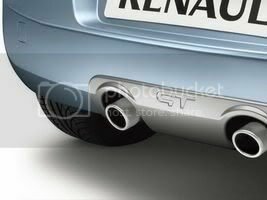 Renault also offered up some gadgets like the RS monitor (option) which gives real time telemetry and five different throttle response settings, 18inch wheels as standard with the 19s as a option, red brembo calipers and grooved discs on cup chassis cars, stunning recaro seats or a very good standard seat, a 5 STAR ncap rating and lets not forget that this car has won Whatcar car of the year (best hot hatch) for two years running. 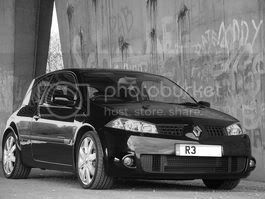 Renault seem to have created a winning combination with this car. Maybe there is a R version around the corner to carry on this evolution !!! Watch this space !! All times are GMT +1. The time now is 01:00:54.